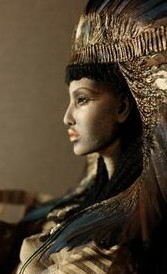 A contemporary Nephthys by artist Desiree Isphording. You may purchase this piece on etsy. This time I’d like to share two things: a thought on how Isis and Nephthys may relate to each other in light of what we talked about last time and a meditation/vision I had with Her. The vision has particularly struck me and hasn’t quite left since. It may or may not strike you; we’ll see. Even better, perhaps you will have your own vision with the Lady of the Limit. The Goddess Throne is the Seat, the Abode, the Place; but importantly, She is The First Place, the First Holy Point of Being, the Sacred Something that First Came Into Existence from Nothing. The Goddess Throne is the One Who First Came Into Being and She is also the Divine Creatrix, the One Who Brings Into Being. If Isis is the point in the center of the circle, so to speak, perhaps Nephthys is the holy wall that surrounds and encloses the point. Isis is the Beginning, Nephthys is the End or Limit. 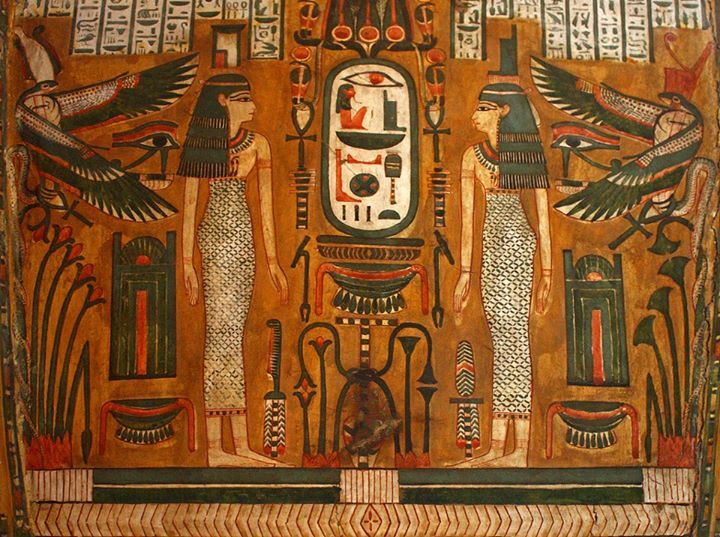 And because the space that Nephthys encloses is not just any space, but sacred space—temple space—it is specially set-aside and protected and may serve as a place of contact with the perfection of First Creation as well as with the Goddesses and Gods. And indeed, that is, in many ways, how the ancient Egyptians envisioned their temples. The doors are nearly half-a-story tall, of dark wood, and plainer that I would have expected. As I stand before them, they swing outwards, pivoting smoothly on their hinges. I enter Her temple. 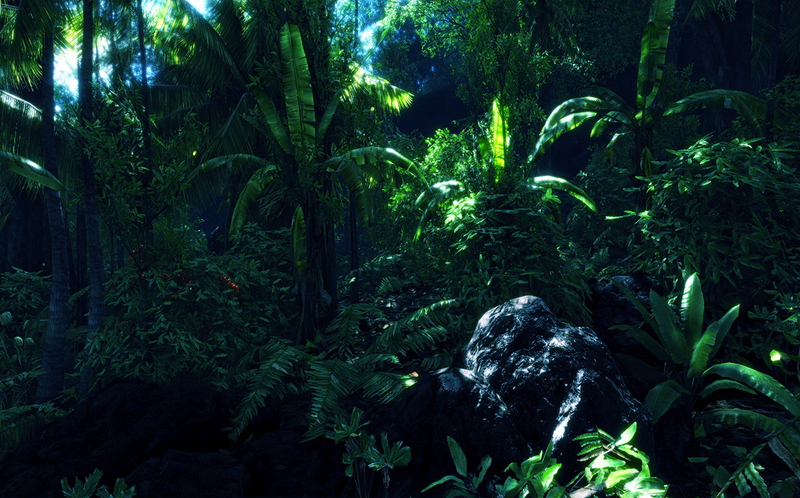 In contrast to the sandstone-red desert outside, inside is a living jungle. Palm trees, lush wetlands, lotus flowers blooming everywhere; they open their inner hearts to me as I pass by. 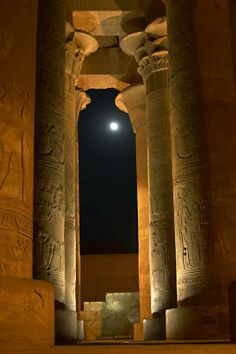 The Great Above is a beautiful shade of twilight in the Temple of Nephthys. The temple ceiling—or is it the sky?—is deep indigo blue, as deep as the most precious lapis lazuli and flecked with diamond stars. I am immediately aware of all the living creatures around me. An enormous crocodile wanders by, yawning, showing its teeth. A huge serpent moves, seeming to flow past, yet taking no notice of my presence. I am a bit disconcerted by all this dangerous life. But the voice of the Goddess says, “They are satisfied.” At the time, these words of the Goddess did not penetrate home to me. Later, they did. A little. They were hotep, “satisfied;” they felt no need to snack on me; I need not be afraid. And yet, I think that I have not yet quite unpacked that whole interaction. There is a mystery in the hotep-ness of the beasts that will come. They live within Her temple. They exist in Her primordial perfection—for indeed, that is what Her temple encloses, encircles, surrounds: Primordial Perfection, Paradise—the Garden, the First Place, the Mound That First Arose from the Nun, the Ancient Chaos. It it still muddy and moist. And it is beautiful; as beautiful as you could ever want, as beautiful as you could ever imagine. It exists in dark warmth and deep blue twilight. Life burgeons within. Satisfied. I know I should go to Her, find Her within Her temple. So I walk on and, of course, soon come to Her throne room, for She is indeed seated upon a throne. I approach, kiss the ground before Her beautiful face. I can’t quite “see” Her fully. She seems to exist in an indigo cloud as well. I sense dark blue and black with glimmers of red and gold. She does not leave Her throne as we talk. Now for this next bit, you have to know that I’ve been working on shapeshifting and having a certain amount of difficulty with it. And that by “shapeshifting” I mean taking on the astral or imaginal form of a sacred animal, in this case, the sacred kite of Isis and Nephthys, and then employing that form to explore. Nephthys, in a very sisterly way I may add, says that She is a better shapeshifter than Isis. She shows me a particular, somewhat uncomfortable, posture. And almost instantly I am shapeshifted (all but my feet, which wouldn’t quite go there). I am Kite. Glossy brown feathers, sharp beak, weird side-of-the-head vision, light avian bones. Not wanting to leave the Goddess, I don’t fly away, but She invites me to come back for more lessons. And I will. I let my form, my kheper, melt back to my own. That’s most of my visit to Her temple. I’ve been back several times since. I have been trying to sense the differences between Her and Isis. Overall, She feels a bit wilder, more shamanic, if I may use that term. But even in Her wildness, She does not seem erratic; it’s not that kind of wildness. She is wild in the way that Her overgrown temple is wild, She is close to the Primordial, but it’s a paradisiacal, encircled, and surrounded Primordial that She has created or delimited in order to interact with us. Ha! Here’s a footnote to this…I just ran across a little piece of paper on which I had scribbled a note a while ago. It is another name for the Two Sisters. They are also called the Herti, the Two Pacified, Peaceful, or…wait for it…Satisfied Ones. Enjoying your original research and experiences of these goddesses! Your visionary experience with Nephthys is fascinating, and your theological musings about Her are most thought-provoking. Thank you for sharing! I love this! It’s wonderful to read about other people’s experiences with Nephthys. I feel like there’s not a lot out there about Her. Reading your experiences enriches my understanding of Her. Thank you! Your entry this week reminds me of Edward Hicks’ painting “The Peaceable Kingdom” much of the same sentiment. I am also wondering where Ma’at comes into all of this. Having a stellium in Libra, I identify strongly with her. I seem to remember that the multiverse came into being when Ma’at created order out of chaos? Love this thanks for sharing. I have a special place for Nephthys in my heart and home. I have always associated her with the feral – untame aspects of Deity and self The unconscious that flows below down inside us that is our conduit to the primordial. Ha! I love so much that you got the same sort of feeling from Her. That’s one of the things that I cherish…when people who don’t know each other come to know the same Deity and find such harmonies. Hello! I have spent years dreaming of Twin Goddesses that are both dark and light, opposites, and, yet, the same. I recently started using pendulum work to see if these Goddesses were even actually a thing. Lo and behold! I stumble straight into Isis and Nephthys. I will definitely be looking forward to more of your posts, as well as doing work on my own. I searched your blog for “shapeshift” because I remembered you had said something about Nephthys bring a better shapeshifter, and there’s a connection to that in Druidry. Reading the article in its entirety again, I now realize that I have been to this red sand Temple in the jungle… I recall saying “Oasis” instead, as I flew over desert to get there, but the environment is the same in description. I saw a red dragon swimming in the air above, Chinese-style. And now I recognize who that was by associating it with Nephthys!